Every profession has its tools. For editors, the toolkit generally includes a computer/monitor(s)/keyboard setup, word-processing software (usually Word), macros, shortcuts, reference materials (print and electronic), often a timer of some sort, perhaps a project management program, and the one tool without which none of this would work—the editor’s brain. Every once in a while, though, you’ll find yourself in an editing situation that calls for a different tool. A special tool. A tool that is not usually associated with editing. In this series, we’ll be taking a look at some of these lesser-known editing tools. Perhaps one or two of them will find a place in your editing toolkit. Today’s tool is the sonic screwdriver. If you are not familiar with the BBC series Doctor Who, you have perhaps never heard of this tool. The sonic screwdriver is the Doctor’s basic, all-purpose tool, useful for tasks such as picking locks, disabling or enabling electronics, picking up various sorts of signals … and, oddly enough, tightening and loosening screws. But what can a sonic screwdriver do for you? Given that the sonic screwdriver is the tool the Doctor has relied on in many a tight situation, your friends at The Breaded Tortoise wondered if it might have some as yet undiscovered editing functions. We have discovered something miraculous. Every once in a while, you will come across a sentence (and we use the term loosely) that you just cannot figure out. The authors of these collections of words have hidden their true intentions so cleverly that normal editorial techniques fail. No amount of rereading, reading aloud, reading backward, staring, or swearing is helpful. Time to break out the sonic screwdriver. Sonic screwdrivers are available in several models, each corresponding to a particular Doctor. The current Doctor, played by Peter Capaldi, has a state-of-the-art screwdriver with more functions than our model has. We understand it has four light modes and four sound effects. We are fairly sure that some combination of light and sound would be useful in formatting notes and bibliographies. Some other combination could be used to fix problems with verb tenses. The possibilities are endless. Various models can be found on Amazon for between $12 and $30. For a device that can preserve your sanity, this is a steal. Just point your screwdriver at the offending word or sentence, and press the button. Easy peasy. But don't tell your clients that you're using a bit of British sci-fi equipment on their manuscripts. Best to let them think you're brilliant. What’s the best fix your sonic screwdriver has made? Let us know in the comments! 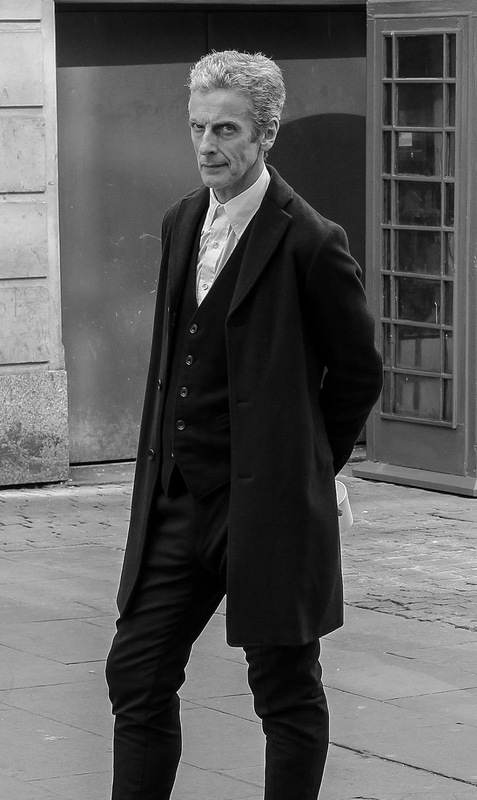 Peter Capaldi. By Shaun Smith [CC BY-SA 2.0 (http://creativecommons.org/licenses/by-sa/2.0)], via Wikimedia Commons. 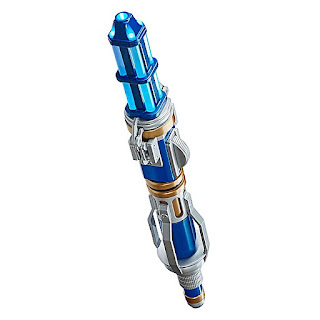 Eleventh Doctor's sonic screwdriver. By Sonicdrewdriver (Own work) [CC BY-SA 3.0 (http://creativecommons.org/licenses/by-sa/3.0)], via Wikimedia Commons. The twelfth Doctor’s screwdriver. By Character Options [CC BY-SA 4.0 (http://creativecommons.org/licenses/by-sa/4.0)], via Wikimedia Commons. Disclaimer: The sonic screwdriver serves no actual editorial function and should not be relied upon in professional editing situations. Results depicted in this post are for illustration purposes only and are not guaranteed. The Breaded Tortoise just wants you to have a little fun with your work. The sentence shown in the video is very similar to one we encountered in the wild several years ago. A “crystal tear drop slanderer hanging from the sealing” is not something we could make up. Because we are making them up. Nothing will happen, but you might feel a bit better. 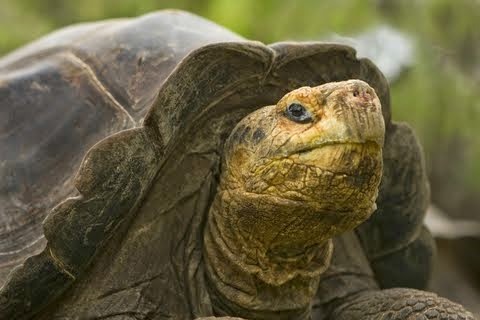 The title of this blog was inspired by a typo in a 2012 Reuters story about Galapagos tortoises. According to the story, the Galapagos Islands are home to some 50,000 giant tortoises, some of which Galapagos National Park is "breading in captivity." No tortoises were harmed in the making of this blog. Sundragon Editing owner Sarah M. Andrews is an experienced copyeditor and line editor. Her special interests include memoir, history, genealogy, and historical fiction. Visit the website to explore Sundragon's services.